Dr. med. Justyna Kostyra – Grabowska is a graduate of the Faculty of Medicine at Collegium Medicum of the Jagiellonian University in Krakow. In 2011, she obtained the title of specialist in the field of dermatology and venereology – for the passing of a specialization exam with a distinguished result she received the award of the Regional Medical Council in Krakow. Since 2007, she has been dealing with aesthetic medicine, effectively combining knowledge and experience in the field of dermatology with confirmed esteems of her patients with the aesthetic sense. Profound and specialist medical knowledge allows her holistic approach to health and condition of the skin, which translates into the safety of the therapy. She has been constantly improving her qualifications by regularly participating in training, conferences and scientific congresses in the field of dermatology and aesthetic medicine. In a wide range of treatments in the field of aesthetic medicine, she prefers those that significantly improve the condition of the skin and allow to maintain a natural look. She also has extensive experience in corrective procedures using fillers based on hyaluronic acid, lifting threads and botulinum toxin. 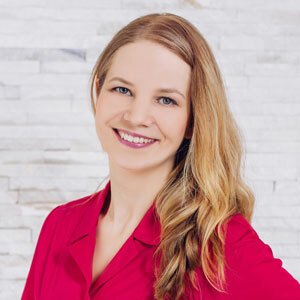 Since 2005, she has been employed as an assistant at the Department of Dermatology at the Specialist Hospital Stefan Żeromski in Krakow, where she specializes in the treatment of skin diseases of both adults and children. In the ward, patients are hospitalized , among others, with severe forms of atopic dermatitis, psoriasis, and bullous diseases. She also participated in clinical trials conducted at the ward. Privately, she is a mother of three children. She is fascinated by the world of fragrances and the art of perfumery. She likes fantasy literature, film music and digital painting.